These basic terms and procedures should help you plan, observe, and report your video logging efforts. I discussed the tremendous value down-hole video cameras have lent to water well engineering and rehabilitation in my last article. As an industry, I believe we can bring even greater utility to video logging by engaging in language and procedures to enhance the utility of the cameras. As such, I am going to propose some commonality of language relative to using the cameras, and some commonality to our procedures. Generally speaking, we utilize cameras with two light sources. One uses a “light ahead” configuration, which is the more traditional lighting arrangement, and more modern cameras are using light emitting diodes (LED) which are recessed into the camera body. The orientation of the lighting source, along with the source itself, can affect our visual interpretation and as such we need to know beforehand what kind of lighting source (LED or “light ahead”) is going to be used. The rate at which a camera is moved up and down the well should be referred to as “line speed” (using a historical term from the well logging industry) and as much as possible maintained at a consistent speed. The general tendency in my experience is many people use excessive line speed, which can often prevent a thorough visual evaluation of the well. Stops should be pre-planned or some form of decision matrix provided to the camera operator regarding when stops should be made (for example, every 20 feet at a weld seam capture a 360-degree image of the entire seam). “Indexing” is a term for capturing an image of well feature, such as a spiral wound weld seam, for use at a later date. Often these indexed images are useful for judging encrustation rates or the efficacy of scale and encrustation removal. Often we ask the camera operator to index weld seams, perforations (for assessing corrosion, encrustation, and sand damage), the rate of water flow past a particular point, or to simply catalogue specific construction details for future reference. Reporting on the indexed depths or features facilitates a return at a later date for assessment of possible changes in the well condition over time. “Hovering” is a term to describe stopping the camera at one particular depth and using the side-view to observe water flow (if any) past a particular point. The operator must hover long enough for any current induced in the water column by the camera movement to cease and let any natural current or gradient up or down the well become predominant. This is accomplished by visually tracking particulate matter moving in the water. Additionally, water movement into and out of holes, cracks, weld seams, and perforations can be observed using a similar technique. With respect to new wells, video logging is particularly useful for establishing a “baseline” structural integrity, for verifying planned construction (e.g., all the screen that was planned got installed), proper construction (e.g., no leaks, bends, or breaks), and confirming there is no residual drilling fluid in the perforated or screened interval. Regarding well rehabilitation, video logging is useful for assessing damaged casing, encrusted perforations or screened intervals, casing corrosion, biofouling, and fugitive water flow (i.e., water entering the well where it is not supposed to). Indexing is particularly important in well rehabilitation because it allows us to assess the efficacy of a particular method or methods by giving us a before and after comparison of a particular well feature. 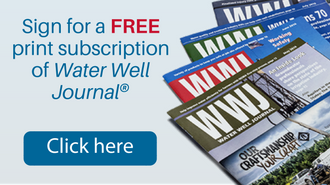 Spiral weld seams are one example of a good well feature to index for comparisons of pre- and post-brushing, impulse-cleaning, or acidizing of a well. Hovering allows us to observe filamentous bacteria moving with water flow along with the movement of entrained gas bubbles generated by bacteria (e.g., hydrogen sulfide) or naturally occurring gas, such as methane. Video logging is a science, and as such it needs nomenclature and structure, but it is also art, and needs a broader palette to describe how and what we see and think about what we’ve seen. These basic terms and procedures should help you plan, observe, and report your video logging efforts. Christopher S. Johnson, PG, CHg, is the president and principal hydrogeologist at Aegis Groundwater Consulting LLC in Fresno, California. 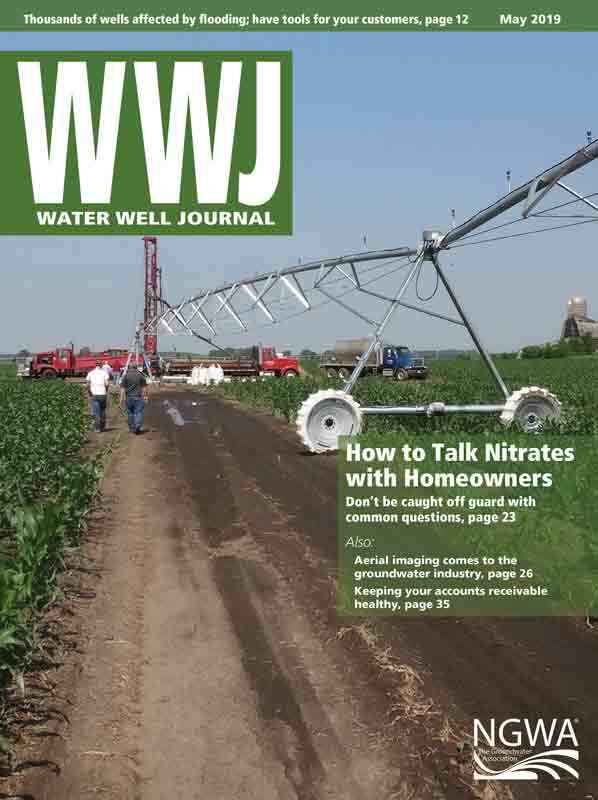 Johnson works with well owners and operators on a variety groundwater-related projects, including locating new water resources, well design and construction management, aquifer testing, and well rehabilitation. He can be reached at chris@aegisgw.com.